How is the new Phoenix working? I have been considering using the new Phoenix motor in a project car I was going to build. The car will be a flexi based car running on a high speed track. Does anyone any experience with this new motor and how it will work? For discussion, how fast on a King track? What gear ratio? What about survivability? P.S. -- Has anyone been able to try the new JK Falcon 11? how does it compare to the Phoenix? The last time a JK motor was referred to as a Falcon, I think Dwight Eisenhower was still our president. From what little I've seen, people seem to like them. 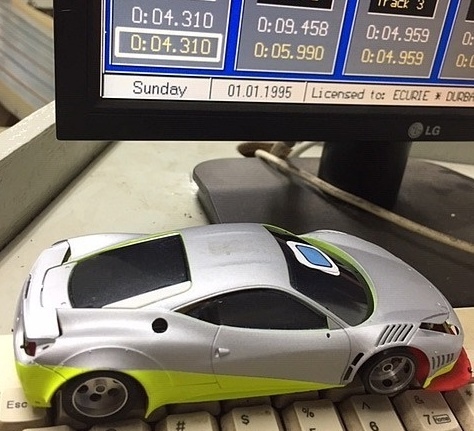 As far as "longevity" is concerned, the same basic rule applies to these as to any slot car motor: "the faster it goes, the shorter it lives". That's even more so with motors produced in large quantities and for a budget-friendly price because, all the things that can be done to add durability/longevity cost time and money, so there will be "tradeoffs". 1) Better commutators will make a motor last longer, but *none* of the Chinese motors I've seen so far have them. 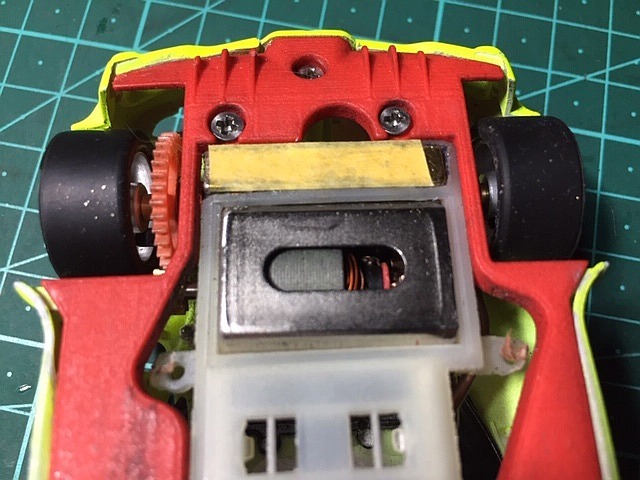 The coms are basically the same across all the brands and are also the same as those found in motors used in general inexpensive applications outside of slot cars. The com shell is simply bonded to the phenolic and there is no "mechanical" connection (ie: "dovetails"). The coms are very skinny, which is necessary because the brushes are as well, but the com shell is made from thinner copper as well. 2) Better lamination steel makes for a better armature. I have no way of knowing the quality of the steel the Chinese lams are punched from, but I doubt it's "the best" they could source. 3) Thinner powder coat can help, and the Chinese arms generally have a relatively thick coating. This makes sense from a mass-production standpoint. 4) A careful epoxy job is of course important, but the Chinese arms don't use epoxy as far as I can tell. I think some *might* use some kind of lacquer to keep things together...maybe? 5) Tieing the com (with kevlar or some other strong and heat-resistant material), along with epoxy is a big thing...the Chinese arms, when tied are done pretty slap-dash. I "guess" it might help...maybe. 6) A good balance job can make all the difference in itself. Just because an arm has been "balanced" (shows signs of drilling or grinding), doesn't mean all that much. It's about balancing to a particular spec, in other words..."how well balanced is acceptable?". If an arm is to be produced in "industrial quantities", taking the time to get each one well-balanced can greatly affect the bottom-line cost. 7) OD grinding, especially on faster motors...and on top of balancing, can make a difference. I don't think this is done at all on any of the Chinese motors. 8) Good shaft material. This is just another one of those things that probably gets little consideration when producing an inexpensive "throw away" motor. 9) CAREFUL assembly and QC. There's only so much (if any) of this possible when mass-producing inexpensive motors mean for "single use"...run it 'till it blows, however long that is. The Chinese motors often have good strong ceramic magnets, and stronger neodymium ones. These have been made possible/affordable by the Chinese, and are good for the application. There are reasons these motors don't have cobalt magnets, but chief among those is "what would be the point?". ***There's a LOT of bang for the buck in these motors, a crazy amount. Worrying about speed AND longevity from these motors, and considering what they cost seems pretty silly. They're made to be cheap, and not to even be opened-up for repairing/refreshing/fine-tuning. Use 'em and enjoy 'em! John's above post is the answer to 95% of the complaints about $13-$17 motors.IOW you get what you pay for! I don't think that's a fair assessment, at least from the implication that it's a motor with no useful life. People (*at least some) are attracted to the notion of a significantly faster motor that is still inexpensive enough to "use and lose". This is nothing new; in the modern era, the "sub-$100" motor has been discussed quite a bit. Even going all the way back to the Mabuchi "can" era, there were "3V" motors and arms available straight from the manufacturers, and the cost wasn't much (if any?) higher, since the arms were basically the same with a different wind. So, when the "Phoenix" made the scene, there was a market it sought to fill. If anything, it's probably the expectations of some that such a motor (*with it's limitations dictated by the price point) would/could last as long as the milder ones of the same type that are unreasonable. ***Now, whether or not the motor has a long-enough useful life for slot cars and slot car racers is something I don't know myself. I just think that expectations should be realistic given the motor type and cost. I have a toy hand grenade that I take with me to the track. I pull it out of my box on race night. It comes into play when someone has a motor expire. We all have a good laugh. A lot of phoenix and china S16D failures around here.Some racers get angry. I laugh about it! One of my racing buddies told me about his good luck. He bought 5 motors and got 2 that were race worthy! I have had 2 bum up on the bench, the first one disintegrated the brushes while spinning the motor to trim the pinion gear with Dremel. Had done that procedure several times before with various other motors without incident. The 2nd one seems to have lifted the comm sections while on slick7 power supply at 5 volts, although still intact the motor won't spin up. I'm disappointed to be out the money but I guess I should have known better. We are using the phoenix motor for the first time this year, and it will take several races to fine the full potential of these little motors. since we use lower voltage and amperage than most commercial tracks, our gearing will be different than posted by others. I have already gained 3/10 and I am sure the fast guys will do even better. Every motor returned to us that was not working correctly has been replaced. Every Motor Every one. No one has complained about their replacement motor. If you have a problem contact the manufacturer and some of them DO fix it. We also have offered to Give anyone a Free Phoenix motor when they send us 15 burnt out and used up motors. No one has taken us up on this offer yet. Here is a picture of every motor that has been returned since the Phoenix has come out. We have told everyone and it is very well known that you should not break these in on a power supply. ...and I would bet a dollar that at least some of the small number failed because of the usual things...improper setup/bad gearing. It's not really a guilt thing Roy. Anytime a new motor comes out, it will take a while before people "figure them out". Fortunately, these motors don't cost much to experiment with! First test with 10:32 then 10:35 ratio lead to a switch to 9:35 to tame the wild beastie. 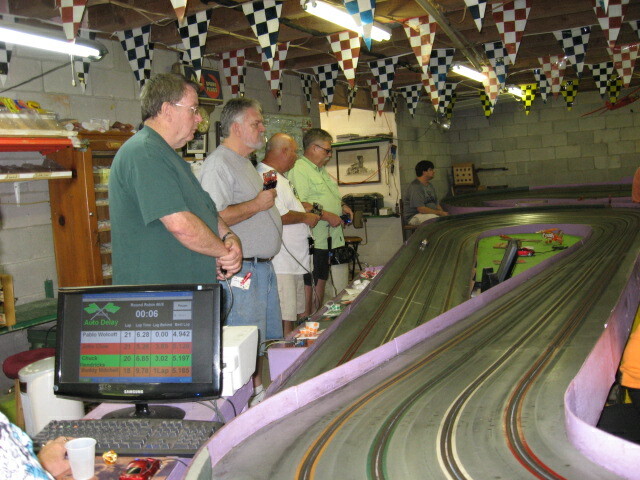 My home track 4.3 second lap was pretty much in the ball park with the 4.2 seconds using a Scaleauto red 35K. 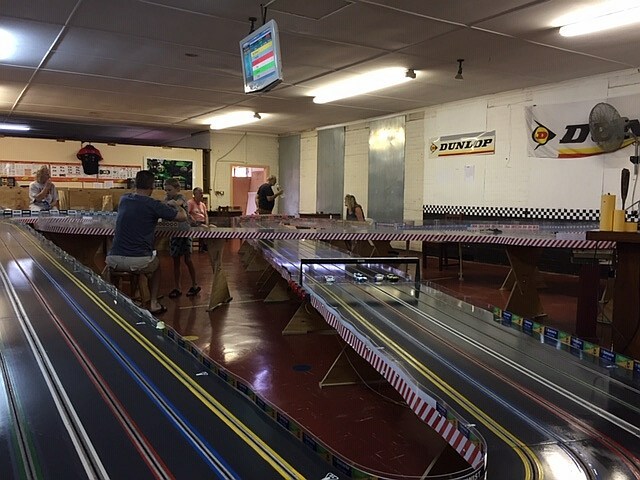 The longer Hotslots track was still a handful but the combo was ahead at the end of the first lane, only to succumb to a loose magnet issue but soldiered on till the end.